We all think of Italy in the summer; long hot days punctuated by an ice cream or two, pool side relaxation with the latest block buster novel, shorts, sun-hats, factor 15 and the odd insect bite. But guess what? Autumn is wonderful too! The hillsides are ablaze with autumnal golds, russets and yellows and, as well a being feast for the eyes, these woodland areas also provide fabulous produce such as mushrooms, chestnuts and the most precious commodity of all; truffles! 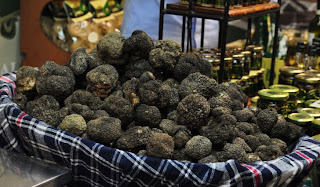 This year Città di Castello celebrates the 34th White Truffle Festival and from the 31st October until the 3rdof November the streets of the town will be fragrant with the pungent aroma of this subterranean, and very expensive, delicacy. 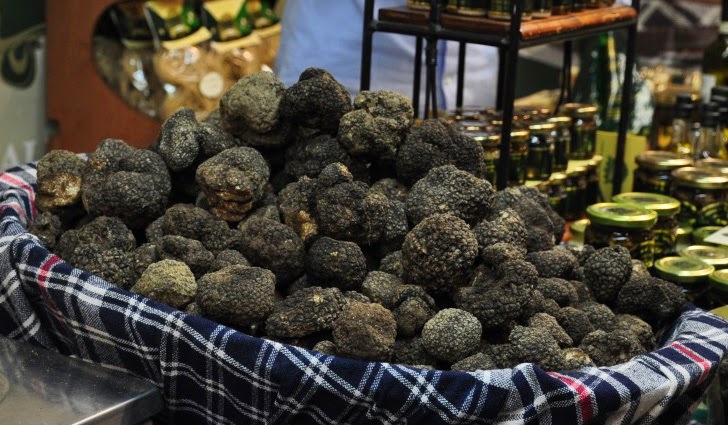 The piazzas will be swarming with stalls selling not just truffles but also honey, oil, mushrooms, chestnuts, cured meats, cheese, local wines and more. Cookery demonstrations, workshops, exhibitions and many other activities provide a few days of entertainment and the possibility to taste and hopefully buy some wonderful local produce. Not to be missed if you are in the area. Also running from the 1st until the 3rd of November is the Festa del Bosco in Montone; for three days this pretty hill top town will be awash with stalls stacked with Autumnal wares. A little less serious than the affair in Città di Castello this festa is no less delicious and well worth a visit if you can find a place to leave the car! As halloween us upon us!